This article first appeared in The Edge Financial Daily, on July 4, 2017. Maintain outperform with an unchanged target price (TP) of RM17.17: Last Friday, Tenaga Nasional Bhd (TNB) announced that the government has agreed to an imbalance cost pass-through (ICPT) subsidy of 2.54 sen/kWh for July to December 2017. This includes the actual imbalance cost for January 2017 to June 2017 of RM523.23 million or a surcharge of 1.02 sen/kWh, and the cost to continue the current ICPT rebate of 1.52 sen/kWh which amounts to RM780 million. This also means that consumers will continue to enjoy the 1.52 sen/kWh rebate until the end of this year instead of paying a surcharge of 1.02 sen/kWh, the first surcharge since the implementation of the ICPT in January 2014, attributed to rising fuel costs. We believe the government’s decision to bear a total cost of RM1.3 billion or 2.54 sen/kWh could be due to the upcoming 14th general election, which could be held any time before August next year. We are not overly surprised by the indirect effective tariff increase of 2.54 sen/kWh given the rising fuel costs in view of higher coal prices, coupled with the scheduled half-yearly increase of RM1.50/mmbtu in piped gas prices. In fact, the latest results showed that TNB’s total fuel costs rose 7% quarter-on-quarter in the second quarter ended Feb 28, 2017 to RM4.24 billion from RM3.96 billion as average coal cost jumped 31% in ringgit terms, while the average liquefied natural gas price grew 9% to RM27.14/mmbtu and there was a scheduled increase of RM1.50/mmbtu in piped gas price to RM21.20/mmbtu in January 2017, and this was also further increased to RM22.70/mmbtu effective July 1. The current regulatory period of the base tariff of 38.53 sen/kWh will be ending at year end. A new base tariff will be set for the next four years starting next January. As the current prices of coal and piped gas are much higher than in early 2014, a higher new base tariff is highly likely. Even if coal prices were to remain unchanged in the future, with the scheduled hike in piped gas price, a tariff surcharge is quite likely in the next regulatory period. Despite having all these increases in fuel prices, they are still earnings neutral for TNB as they will be passed through to consumers eventually under the ICPT mechanism. We keep our estimates unchanged for now. 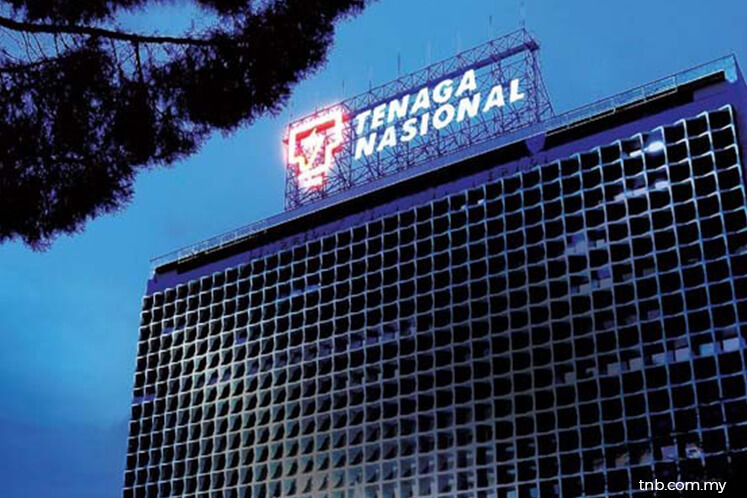 TNB is still a laggard despite the relatively buoyant domestic market sentiment. In our opinion, this is unwarranted given its index-linked heavyweight status and earnings quality profile. It remains “outperform” with an unchanged TP of RM17.17 per share based on 14.4 times calendar year 2018 price-earnings ratio which is based on +1.5 standard deviation of the two-year moving average.